Firefox comes back to life, comes back to the charge. A little more than fifteen years old, it remakes, thus cutting the bridges with technologies of nearly twenty years, born in the wake of Netscape. Announced last year, in October, Quantum is a leap forward. It replaces an aging Gecko. As proof of the renewal he embodies, he was written in a mix of C ++ and Rust, a programming language developed by Mozilla. The latter is thought to be "secure, competitive (multithreaded) and practical" . As explained Mark Mayo , technological transition to Quantum was done gradually as far as possible, which is income, to quote Jen Simmons Advocate designer for Mozilla, in a post on his blog at replace an airplane engine in full flight . The first code elements using Rust were deployed with Firefox 48 in August 2016, with the replacement of the browser's media stack. Then, we saw the disappearance of the Gecko CSS engine, replaced by Quantum CSS, codename Pen, last summer. With Firefox 57, it is the large phased migration that ends. This includes Quantum's rendering engine, which takes more advantage of graphics chips and comes straight from the Servo project's Web rendering experiments. Even more useful on a daily basis, this new iteration of the browser introduces the Quantum Dom Scheduler. With this new feature, Firefox will make sure that the (many) open tabs in the background will not slow down the browser and tab you are viewing. Fewer slowdowns, but above all more speed. All these improvements have been designed to speed up the operation of Firefox. The browser to launch and load pages faster, better manage the multiplication of tabs, short be faster in the tasks of our daily online. But the new Firefox is also there to refresh a little the interface that you use daily. In this case, the Quantum project has nothing to do with it. This is the Photon project that is taking its first steps with this version 57. Lighter, more enjoyable, the new interface introduces a new page tabs, a new side panel and settings. The search box, which has been on the top right of the Firefox window for years, disappears. The browser opts for a unified search and address bar. Nevertheless, those that disturbs can go to the settings and reactivate. Finally, just use it a little to see that it seems better suited to the different types of screen on which is present Firefox, mobile to PC through the tablets. But day by day, it may be the micro-revolution of Web extensions that will make the difference, which will in any case perhaps require the most adaptation from users. Because it is in this area that the technological break with the past is the most flagrant. 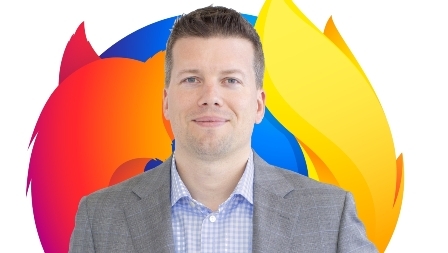 Firefox 57 puts an end to the support of XUL, inherited from the Netscape era and opts for the unique compatibility with the WebExtensions API, itself compatible with the standard WebExtensions found in all Chromium browsers (Chrome , Opera or Vivaldi) and also in Microsoft Edge. For the record, this change was initiated in the summer of 2015 and the arrival of Firefox 48, the first to adopt this API. To make the transition as easy as possible, for the last few weeks Mozilla has only been able to see compatible extensions in its extensions catalog. If you have not ensured that your favorite extensions were updated before the update, you will find those that you will not be able to use in the obsolete Extensions section of the browser. You will then need to find a replacement candidate or wait for the add-on developer to bother to wear it. This inconvenience could in any case be offset by the arrival of extensions already developed for Chrome. 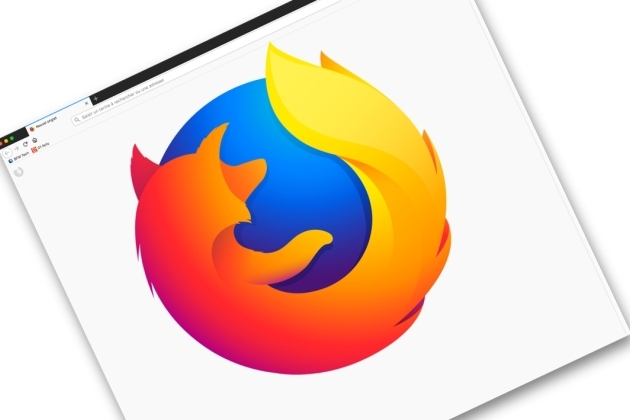 You can, however, enjoy the Screenshot extension, Mozilla, which allows you to take full or partial screenshots of the page displayed by Firefox. Here is a series of technical elements that weigh in the balance and mark the change. But there is one point on which Firefox has not changed and that's the point. For the open source browser, embodying the choice, the alternative element is everything. This is at least as important as the technical performance. It is a question of democracy, of value. "Chrome is a browser designed by a web giant, a Silicon Valley company that wants to sell you something. 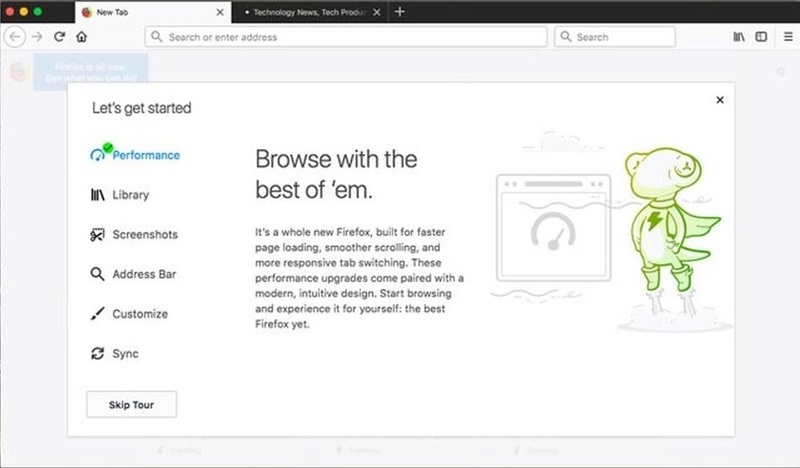 We are doing a web browser for you to go online because that's what we like to do, "said Mark Mayo, senior vice president of Firefox, with a passion that is difficult to deny. and, no doubt, a certain desire to force the line. "We are a non-profit organization with a mission to make the Internet accessible. That's why we've always been very active in protecting users' privacy and security. " Why in this case, Firefox lost market share? "In the years that came with the rise of Chrome, Firefox may have appeared as a compromise offer , " heargues. A browser that preserves the user but does not give it as much speed, power or stability as Google's browser. With Firefox 57 and the Quantum project, things are likely to change. "Firefox is fast, really fast. There is no longer any compromise. " , Noted Mark Mayo happy and proud of the shot work, adding jokingly, " we are still the good guys " .